Arewa Consultative Forum, ACF, ​reacted to the tension caused by the conflict between troops of the Nigerian Army and supporters of Indigenous People of Biafra (IPOB) leader, Nnamdi Kanu. The Northern leaders called for quiet ​while complimenting Governor Okezie Ikpeazu for forcing a nightfall to first light time limitation in the state. A statement by ​ACF ​publicity secretary, Mohammed Ibrahim Biu ​appealed to IPOB supporters and other agitators​ to​ seek after their motivation inside the bounds of the law. ​"​ACF praises the provoke intercession of the Abia State Governor, Chief Okezie Ikpeazu,who has forced a three day nightfall to first light check in time on Aba town so as to splash the tension and bring the situation under control. With the sunset to first light check in time set up, the military and other security organizations ought to guarantee that peace and amicability in the ranges influenced are reestablished as well as supported. "ACF likewise praises the endeavors of South East Governors Forum for setting up a Probe Committee to research the conflict keeping in mind the end goal to unwind its remote causes and to proffer a persevering answer for such problems. Distinguished perpetrators of the emergency ought to be made to confront the fierceness of the law so as to fill in as obstruction to others. In such manner, ACF desires the Governors of the South East and South regions to find a way to ensure the lives and properties of the innocent and law abiding citizens living in their states. 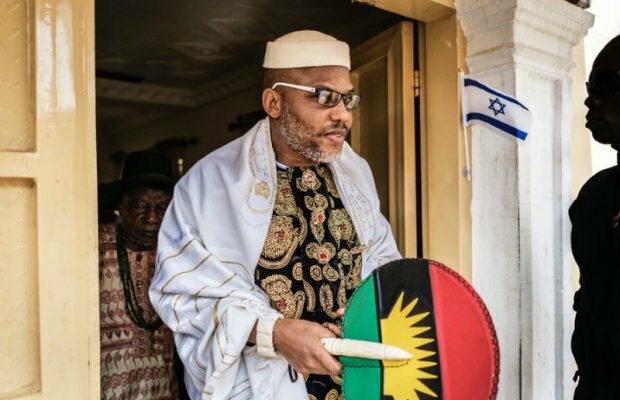 "ACF requests to members of IPOB and different agitators for whatever reason to dependably seek after their worries inside the bounds of the law and the arrangements of the Nigerian Constitution. "Moreover, ACF wishes to commend the military for their polished skill in dealing with the security difficulties and approaches the Federal Government to be firm and fearless in acquire such situations under control support of peaceful concurrence required for important financial improvement. We accordingly offer for quiet and urge citizens to welcome the need to live in peace and congruity".